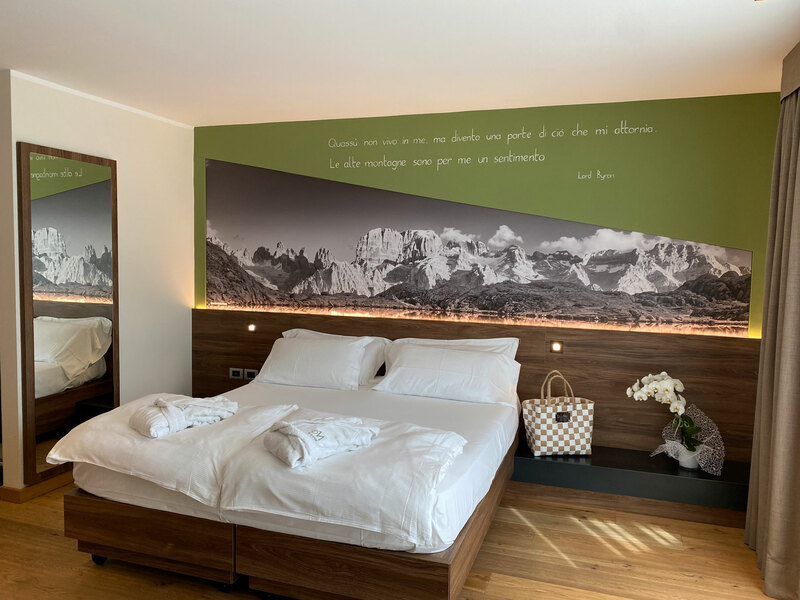 The evocative and emotional properties of wood and the natural materials typical of alpine furnishings are combined with the use of burnished iron defined by simple, clean lines. 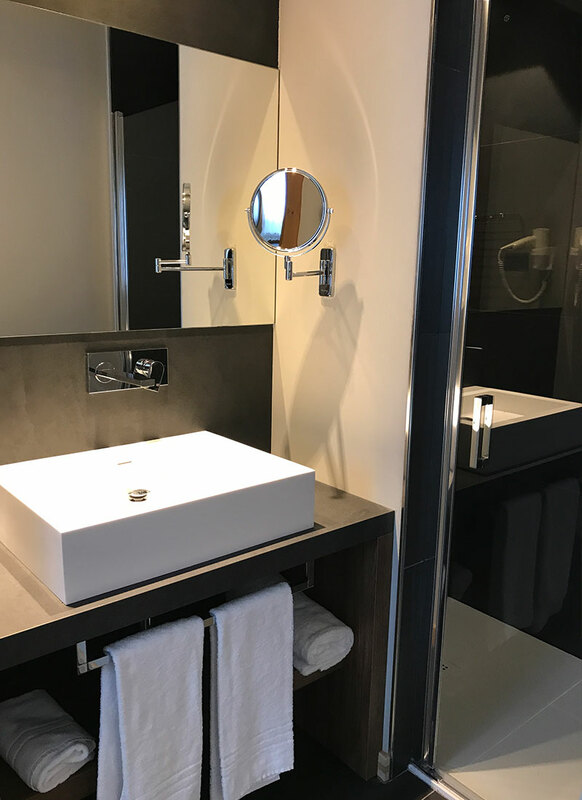 The range of materials and the care shown in the finishes and details create a new balance, for warm and exclusive environments. All our suites are fitted with air-conditioning. 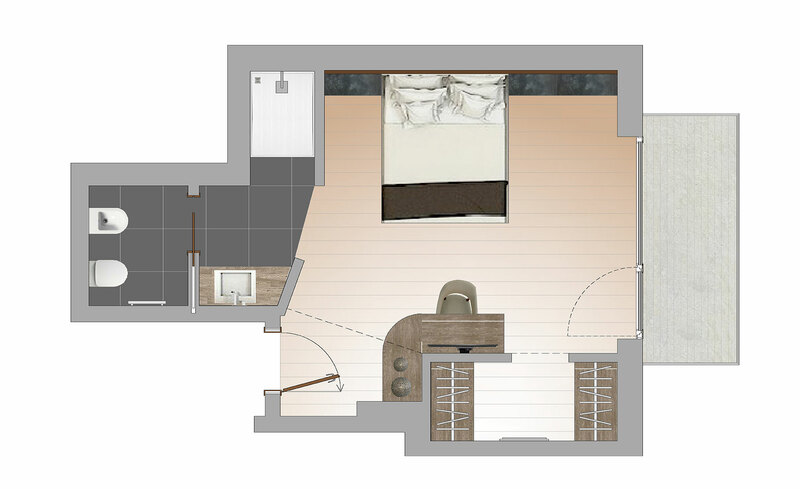 18- 20 m² - max: 2 pers. 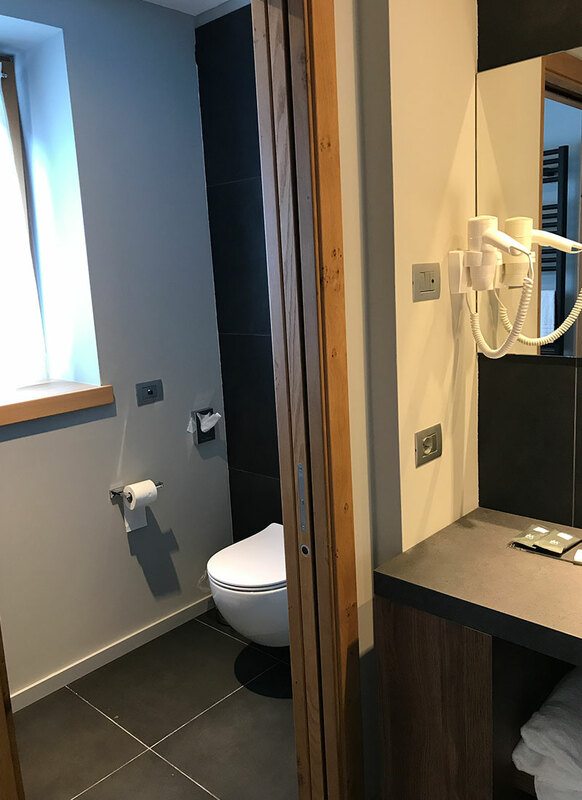 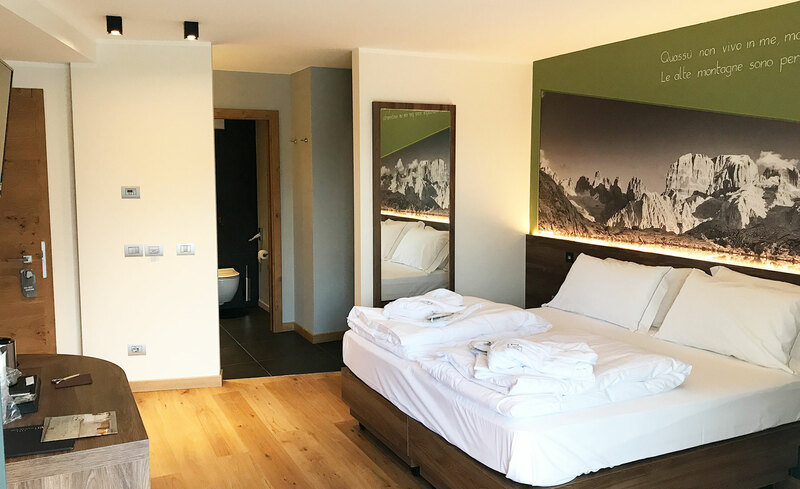 The SMART Room is a cosy and welcoming room, with its limited size and lack of balcony making it the ideal option for guests who are seeking excellent value for money without sacrificing the comfort for which all of our accommodation is renowned. 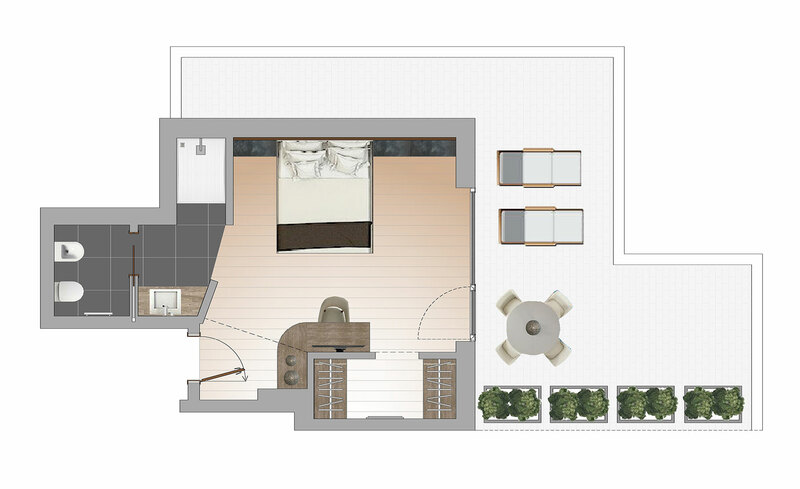 22 m² + 4 m² balcony - max: 2 pers. 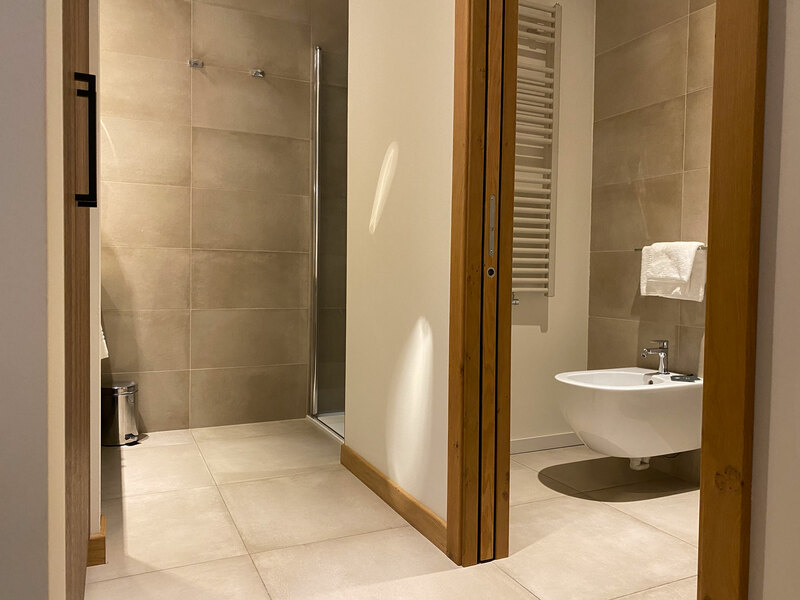 The oak flooring and the meticulous attention to detail give this room a welcoming atmosphere, making guests feel truly at home. 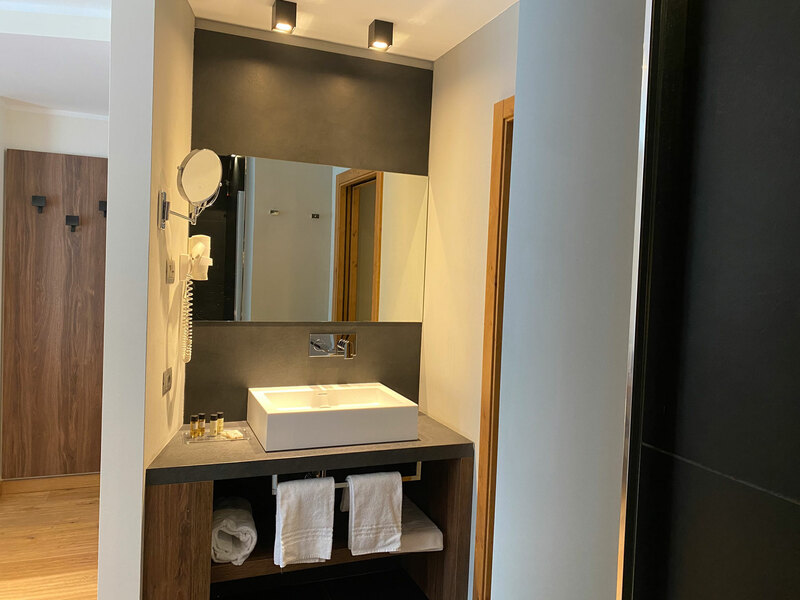 All rooms have a balcony with a glass parapet, some are equipped with a walk-in wardrobe, bathroom with separate toilet and bidet, and have no architectural barriers. 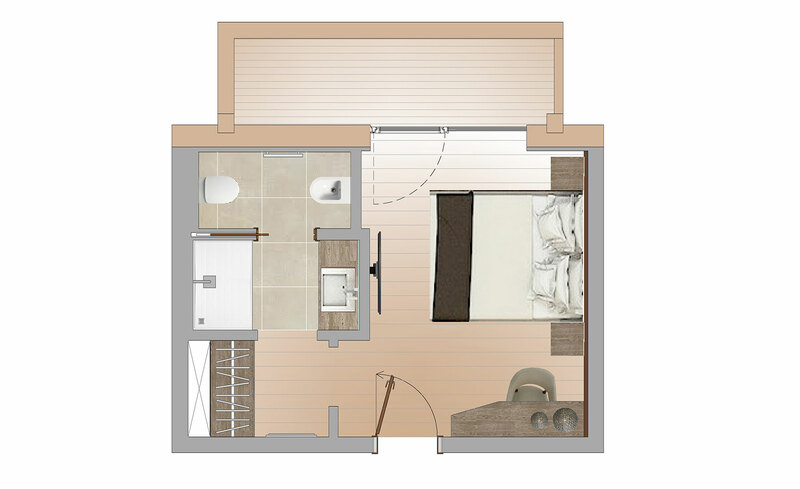 22 m² + 5 m² balcony - max: 2 pers. 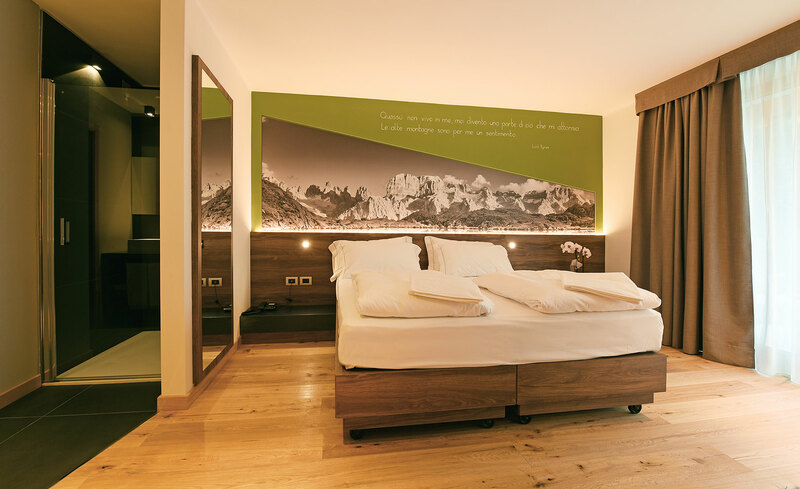 The bright and sunny WOOD room has a spacious balcony in natural larch, offering unobstructed views of the surrounding mountains. 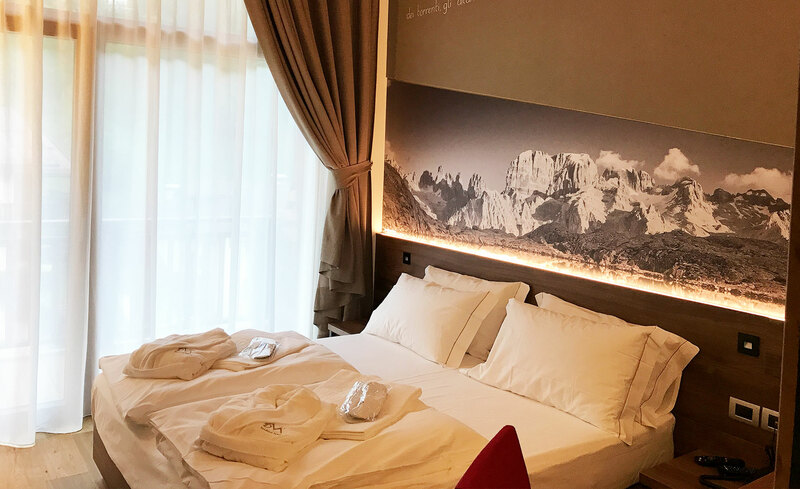 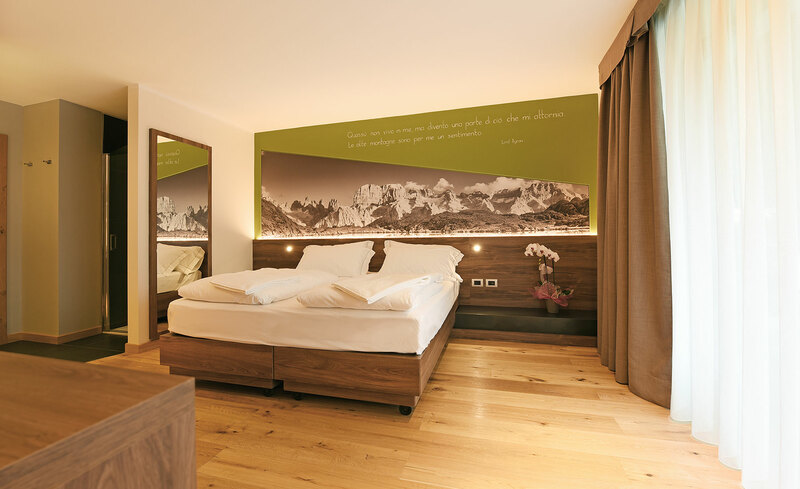 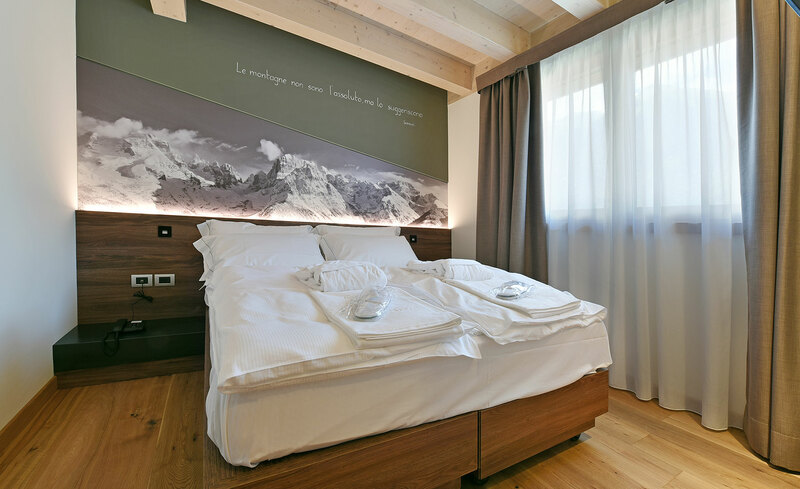 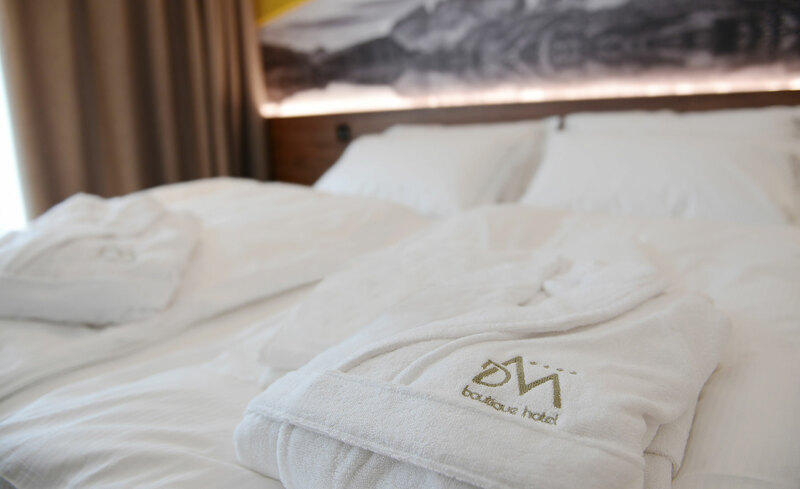 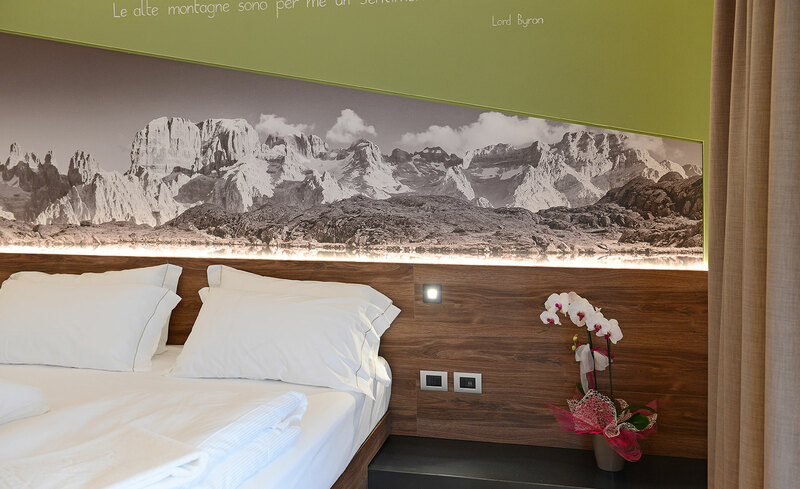 The room has oak flooring and the backlit images of mountains on the walls give guests a preview of the natural spectacle that awaits them, at the same time inviting them to relax and enjoy the peaceful atmosphere. 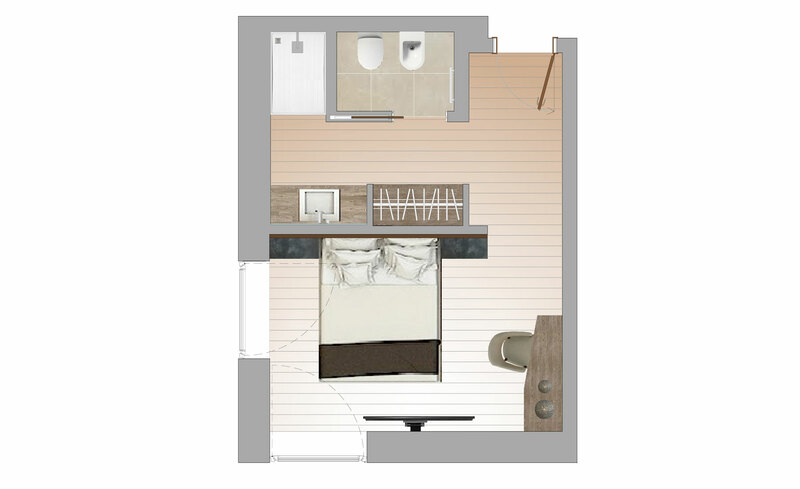 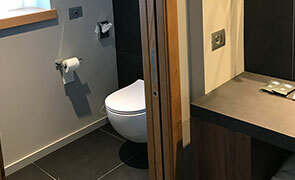 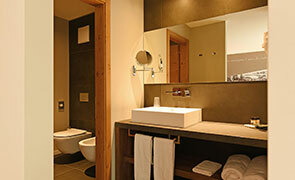 Some rooms have a walk-in wardrobe and bathroom with separate toilet and bidet. 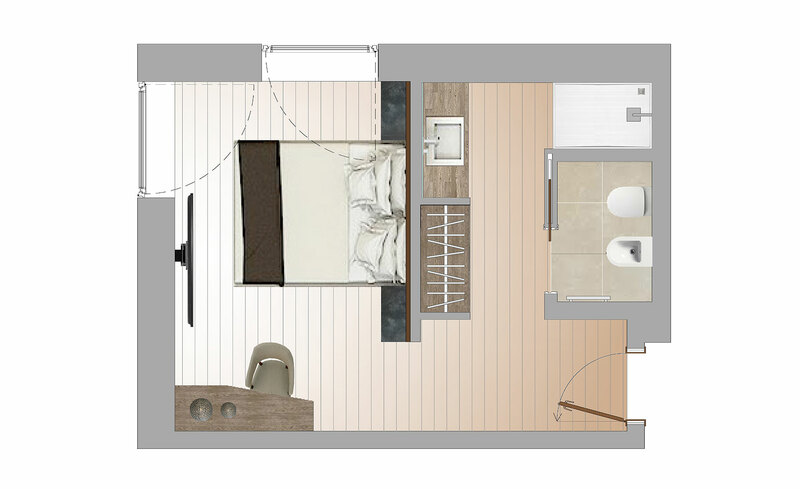 30 m² + 5 m² balcony - max: 2 pers. 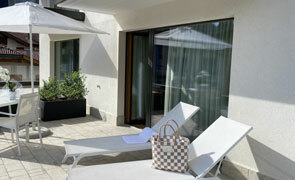 The LIFE DELUXE room is on the second floor and has a large balcony with glass parapets. 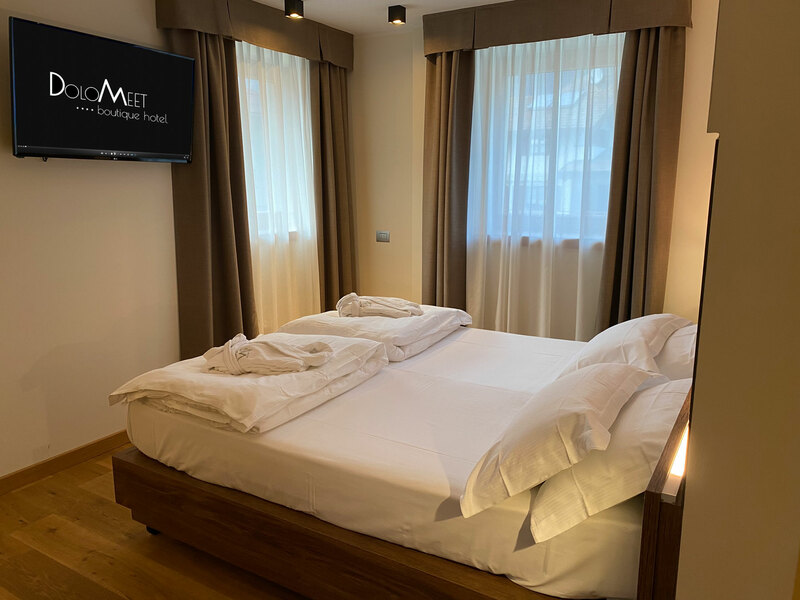 The brightness and the exceptional outlook enhance the sense of wellbeing and are just some of the benefits of this room, which is particularly suitable for couples. 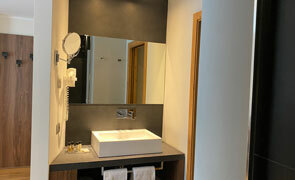 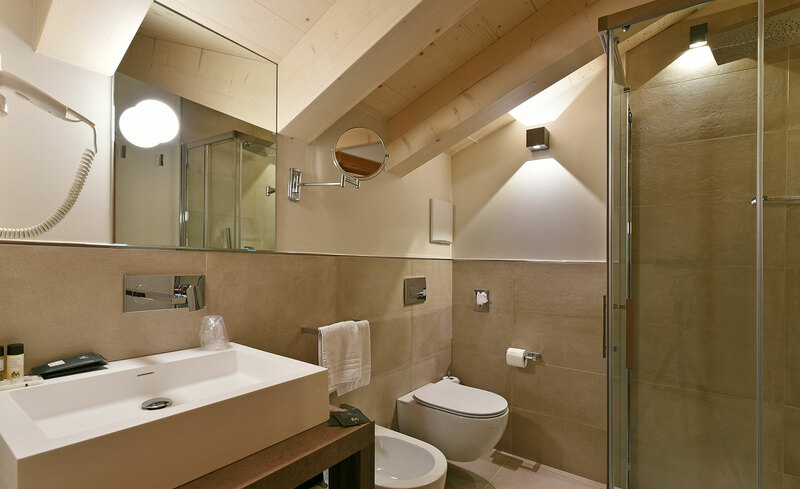 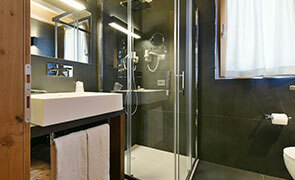 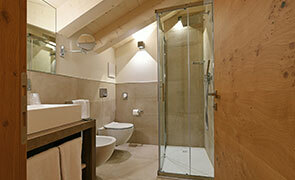 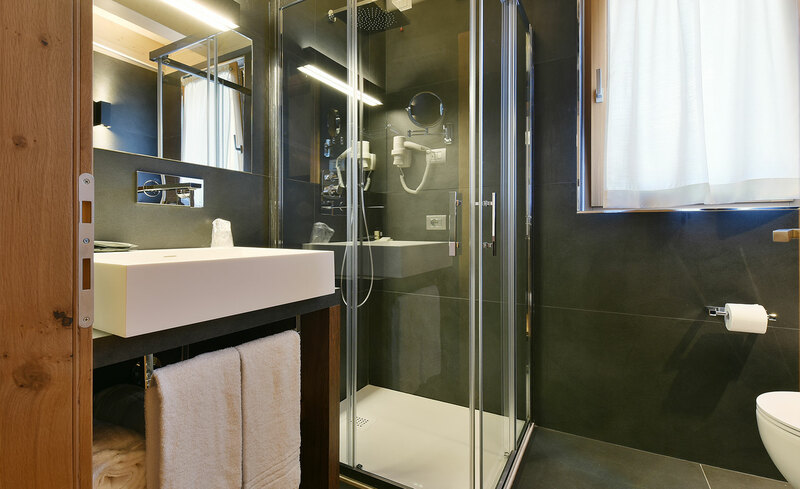 The room has a walk-in wardrobe, bathroom with separate toilet and bidet and spacious shower with LED light. 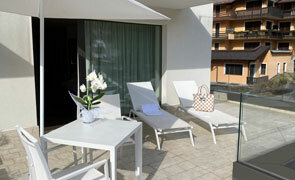 30 m² + 25 m² solarium - max: 2 pers. 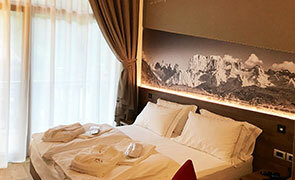 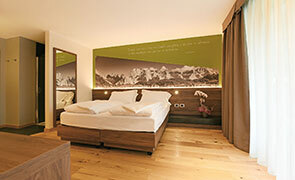 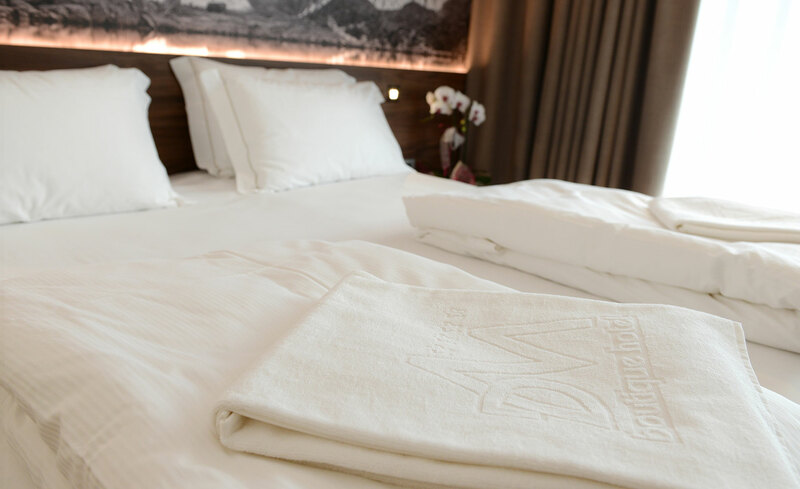 The ALPINE DELUXE room, on the first floor, is spacious, bright and south facing. 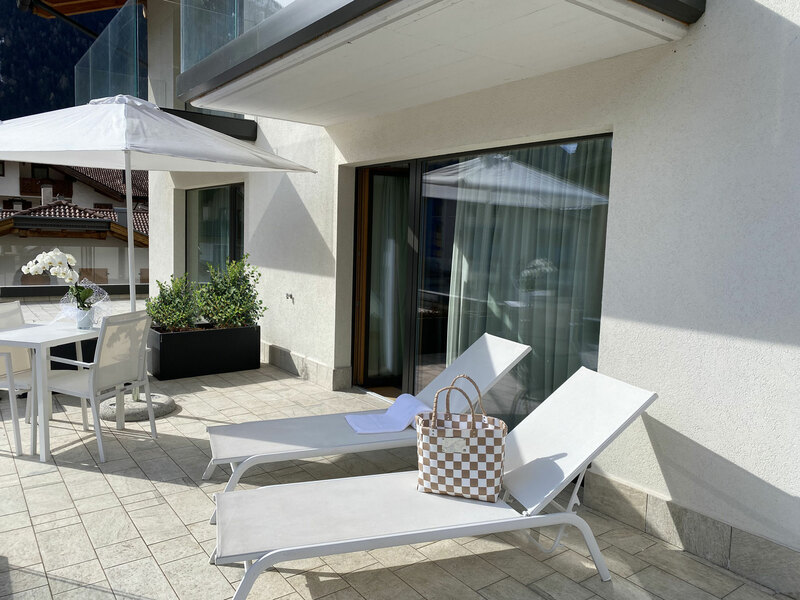 It has its own fully-equipped solarium, an exclusive private space where guests can sunbathe undisturbed and relax in complete peace and quiet, making this room the only one of its kind. 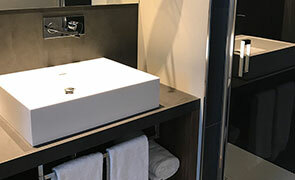 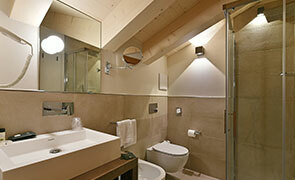 The room has a walk-in wardrobe, bathroom with separate toilet and bidet and spacious shower with LED light. 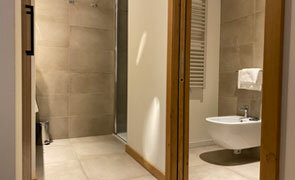 Its features make this room a particularly suitable option for couples.